When the struggling Edmonton Oilers dropped the axe on head coach Todd McLellan and replaced him with the briefly-retired Ken Hitchcock last month, part of Peter Chiarelli's reasoning for the move came from a belief his team's roster was good enough to make the playoffs. It's only been 11 games, but it appears the embattled general manager was onto something. Sitting five points below the cut line at 9-10-1 before the coaching change, the Oilers are an impressive 8-2-1 under Hitchcock — tied for the NHL's third-best record over that span heading into Wednesday's action — and occupy the Western Conference's first wild-card spot. As the 66-year-old has done throughout his career, he's making previously-average looking goalies seem like world beaters. 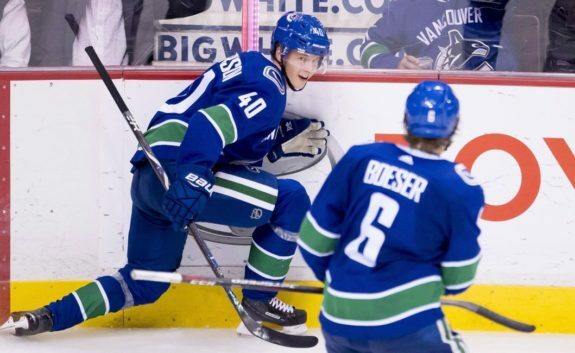 [caption id="attachment_492347" align="aligncenter" width="575"] Edmonton Oilers goaltender Mikko Koskinen celebrates with left wing Drake Caggiula and center Cooper Marody in front of head coach Ken Hitchcock. (THE CANADIAN PRESS/AP, Jeff Chiu)[/caption] The Oilers are surrendering similar shot totals since McLellan's removal, but are giving up more than a full goal less per game on average as Hitchcock continues to implement his defensive structure. Mikko Koskinen, a 30-year-old with four games of NHL experience in 2010-11 prior to this season, has wrestled the starting netminder's job from Cam Talbot. In eight appearances since Hitchcock took over, Koskinen has a .936 save percentage, up from .917 with McLellan. Talbot has also seen a bump in his statistics with a .925 mark in three games after putting up an ugly .888 in 14 previous outings. "It's not going to change overnight, but we can start taking some steps," Hitchcock said in the wake of his hiring. "I told the players I can take them to a place personally that they can't get to themselves. "But they've got to buy into that, and it's not going to be comfortable at times." And while the three other teams that fired coaches during a 17-day November stretch in hopes turning around their seasons don't have a forward group led by Connor McDavid, they haven't responded nearly as well. The Los Angeles Kings were the first to make a move, parting ways with John Stevens and his 4-8-1 record on Nov. 4. Former Vancouver coach Willie Desjardins is 7-11-1 since, unable to get much more out of a slow, veteran group. Joel Quenneville, a three-time Stanley Cup champion with Chicago, was handed his walking papers by the Blackhawks two days after Stevens following a 6-6-3 start to the year. Jeremy Colliton was promoted from the club's AHL affiliate to try to right the ship, but the rookie's tenure behind the bench has been a disaster so far with a 3-12-2 record, including a regulation losing streak that stretched to eight games with Tuesday's 6-3 defeat in Winnipeg. "If I had (a reason) I would have fixed it already," Colliton told reporters after the latest setback. 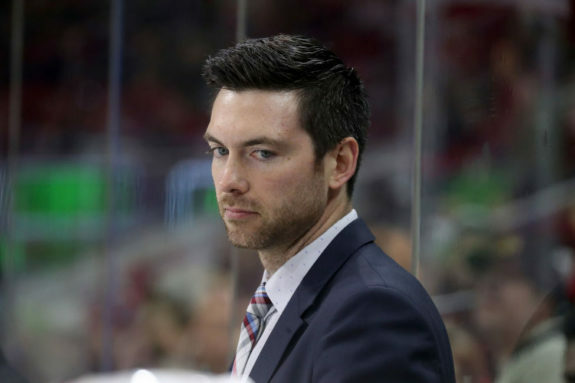 [caption id="attachment_485000" align="aligncenter" width="575"] RALEIGH, NC - NOVEMBER 12: Head Coach Jeremy Colliton of the Chicago Blackhawks watches action on the ice during an NHL game against the Carolina Hurricanes on November 12, 2018 at PNC Arena in Raleigh, North Carolina. (Photo by Gregg Forwerck/NHLI via Getty Images)[/caption] And the St. Louis Blues, who underwent a major roster overhaul this summer that included a blockbuster trade for forward Ryan O'Reilly, fired Mike Yeo (7-9-3) the day before McLellan was sent packing Nov. 20. Craig Berube, who has won two of his last three, is a pedestrian 4-5-1 as interim coach. St. Louis (28th overall), Los Angeles (30th) and Chicago (31st) are the bottom three teams in the West. At the other end of the spectrum, the Oilers are flying, winners of four straight and six of their last seven. Hitchcock, however, is still looking for more. 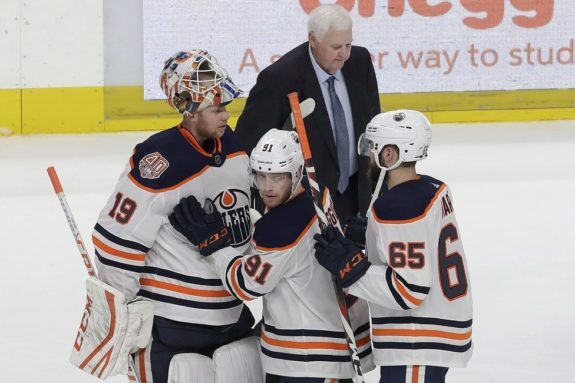 "We're going to need more contributions from more people if we expect to be a playoff team," he said following Edmonton's 6-4 victory in Colorado on Tuesday. "We're going to push in that direction." Speaking of Alberta teams, if the playoffs started Wednesday, the first round would have featured Calgary taking on Edmonton in the post-season for the first time since 1991. Like the Oilers, the Flames were 8-2-1 over their last 11. Edmonton owns a 4-1 record in playoff series against Calgary, with the Flames' only victory coming in 1986.